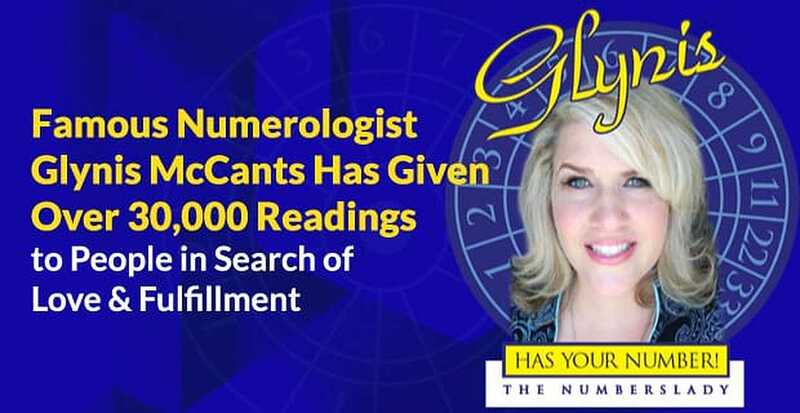 The Short Version: Glynis McCants has become an internationally sought after Numerologist who uses the 2,500-year-old Pythagoras Numerology System to gain insight into all of us. She is able to read a person instantly, just by knowing their name and birth date. She breaks the system down so anyone can do the same in her best-selling book “Love By the Numbers.” First-time daters and acquaintances can use her straightforward Numerology Charts to figure out if they’re compatible or should they run for the hills. Glynis also offers a Numerology Calendar that marks good days and bad days for major events, such as surgery and weddings, based on your Numerology Blueprint. Throughout her career, Glynis has conducted over 30,000 readings. 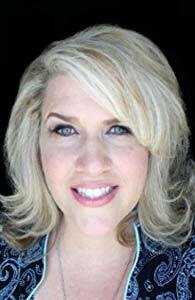 She has done readings on television, in corporate settings, and even in junior high classrooms, to help people look at their lives from a new perspective and make decisions that are in alignment with who they are. Glynis McCants was a brokenhearted 19-year-old looking for answers when she stumbled upon Numerology for the first time. She had gone to someone she was told was a psychic, but who turned out to be a skilled Numerologist. She went to her because she wanted closure after a bad breakup. The woman told Glynis that her relationship had failed because her ex-boyfriend’s number chart was fundamentally incompatible with hers. They were toxic to one another. Glynis McCants gives numerology readings on TV and radio shows. That meeting changed her life. Glynis began to study Numerology herself, wanting to learn about the mysteries of people’s spiritual energies. She then realized her true purpose in life was to spread the word about Numerology to help people gain clarity as to the root of their personalities. Glynis has worked to spread the word and share her wisdom with others. She has appeared as a frequent guest on national TV shows, including “Dr. Phil,” “The View,” and “Dr. Oz.” She has also written three best-selling Numerology books. 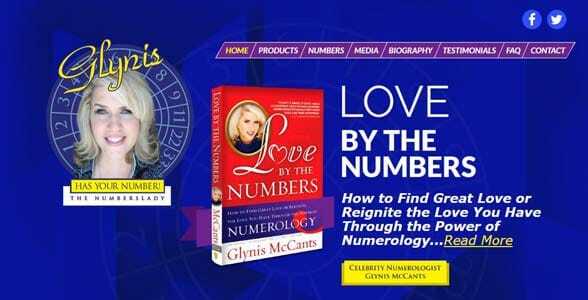 “Love By the Numbers” is a newcomer’s guide to the power of Numerology in love and relationships. The book teaches the reader how to determine innate compatibility based on the Science of Numbers. You can use this book to make chart comparisons for yourself, your family members, your friends, and, of course, your potential love interests. Glynis is an instructional and inspirational guide for singles and couples who have questions about themselves and their relationships. At her core, Glynis believes our Numbers (aka Vibrations) drive who we are, and understanding them leads to a successful life. Her book “Love By the Numbers” has led to over 2,000 marriages and counting. “I’ve seen couples heal their relationships by better understanding their similarities and differences by Numerology,” Glynis said. “Instead of being mad at the person, they will say, ‘Well, he’s just being a 4.’” Understanding often leads to reconciliation. Glynis has conducted readings to recommend the most compatible baby names for parents expecting a child, she can predict how compatible you’ll be with a date, and she can suggest the best days to plan a wedding. She has also written breakdowns of celebrity charts to explain what she sees in their relationships, and as time has passed has watched her interpretations of these couples come to be. “When Brad Pitt and Angelina Jolie first got together, I ran their Numerology Chart Comparison and was immediately concerned,” she wrote on YourTango. “Because these two Life Paths can be very toxic to each other in Numerology.” And the world now knows how that relationship turned out. Over the years, many people have praised Glynis for her unique insight into life, love, and people. She has a long list of testimonials on her website and said she’s gratified to be able to influence so many people in big and small ways. Whether she’s giving her advice on the best day to plan a wedding or offering celebrity breakdowns, Glynis draws careful conclusions after studying the Numbers. Glynis has impacted people from all walks of life. Some people receive guidance in person, while others rely on her Numerology Kit or Numerology Calendar for guidance. Glynis has come a long way from that confused teenager wondering why her relationship had failed. She now understands the inner workings of the human heart and has been happily married for 15 years. As a professional Numerologist, Glynis aims to help others find their path by knowing themselves on a deeper level. She conducts readings to guide singles and couples toward the right decisions for them. She empowers them to find success in their careers, families, and love lives by providing useful insights gleaned from years of studying the science of Numbers.